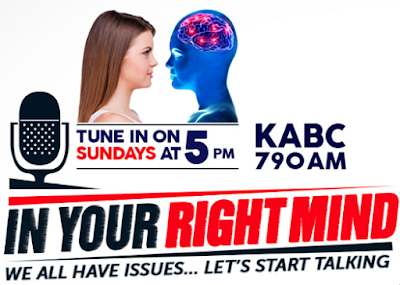 "In Your Right Mind," a weekly behavioral health radio program that features in-depth roundtable discussions of today's behavioral health headlines, is set to air an impactful show on eating disorders on Nov. 27, at 5 p.m. Pacific time on Talk Radio 790 AM KABC in Los Angeles. During the program "Distorted Disorders," the show's panel will compare disordered eating to eating disorders and share insight on the physical and psychological impacts these illnesses have on the body and brain. The show is co-hosted by Program Producer Kristina Kuestner and Dr. Tonmoy Sharma, Chief Executive Officer (CEO) of Sovereign Health, who provides in-depth medical and clinical expertise. Sunday's panel will include guest speakers Janet Whitney, a licensed psychotherapist who consults with Sovereign Health's Eating Disorders Program; Daniel Amen, M.D., CEO of Amen Clinics; and Sondra Kronberg, M.S., R.D., a spokeswoman for the National Eating Disorders Association and founder of the Eating Disorder Treatment Collaborative. "The biggest remedy is education and getting people to fall in love with their brains and their bodies," Ms. Whitney said. Dec. 4: "NIMBY" (Not In My Backyard) explores the explosive community protest movement driven by residents who oppose having treatment facilities and sober living residences in their city. Dec. 11: "Fabricating the Facts" asks the question, "What makes someone continuously exaggerate the truth?" For those who miss the original broadcast, the show is available on demand at InYourRightMind.com. One factor that differentiates Sovereign Health from other treatment providers is its ability to offer separate mental health and addiction/dual diagnosis treatment programs at its facilities. For more information, visit sovhealth.com. 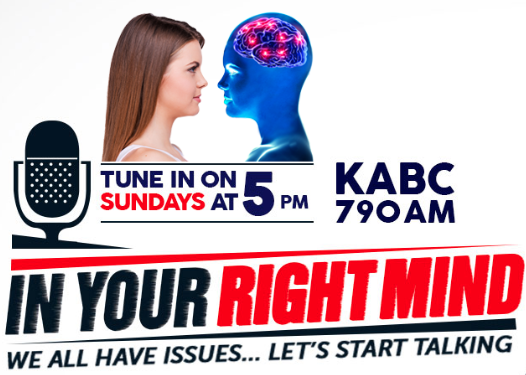 About "In Your Right Mind"
"In Your Right Mind" is a weekly behavioral health radio show that covers various topics each week, including mental health disorders such as schizophrenia, bipolar disorder and addiction/dual diagnosis disorders. Dr. Tonmoy Sharma and Kristina Kuestner are the hosts of the show. In addition, each program will feature guest speakers throughout the United States participating in a roundtable discussion about headlines in behavioral health. The mission of "In Your Right Mind" is to raise awareness about behavioral health issues that get people talking. The hour-long show airs every Sunday at 5 p.m. on Talk Radio 790 KABC Los Angeles. "In Your Right Mind" is produced in conjunction with Sovereign Health, a leading national provider of behavioral health treatment services. For more information, visit inyourrightmind.com.